Who’s excited for Halloween on Monday?! Mario, Avery, and I are getting our apartment decorated and, of course, pulling together our costumes. Every year, stores begin stocking up on Halloween candy and decorations weeks, even months, in advance (the lead up is such a tease! ), but finally Halloween is upon us and I cannot wait to to unveil my costume…been planning something special and fun that I’m sure my fans will appreciate. Anyone have any guesses? Every year, some of my friends throw a block party on a beautiful tree-lined street in Manhattan where every home is decked out in extravagant Halloween decorations. The street gets transformed and it becomes almost unrecognizable. Imagine Tim Burton’s The Nightmare Before Christmas in your neighborhood! Pumpkins on every stoop and windowsill, cob webs across building exteriors, eerie monsters and creatures popping out of each little nook. The scene is just unbelievable and so festive. Admiring the creative costumes every year just never gets old to me. I swear, I’m a little kid in a candy shop on Halloween – I just cannot get enough of it. I love seeing the costumes that children and teenagers dress up in. I’ve been preparing costumes for Avery every year, and if it were up to me I would be doing it forever! Can’t wait to show my girl off this year – I hope you all like her costume…wait ‘til you see. I’m also jazzed to see what Andy Cohen will dress his ‘Watch What Happens Live’ Clubhouse mascot in. Tramona, you better not disappoint! favorites from your Halloween albums. 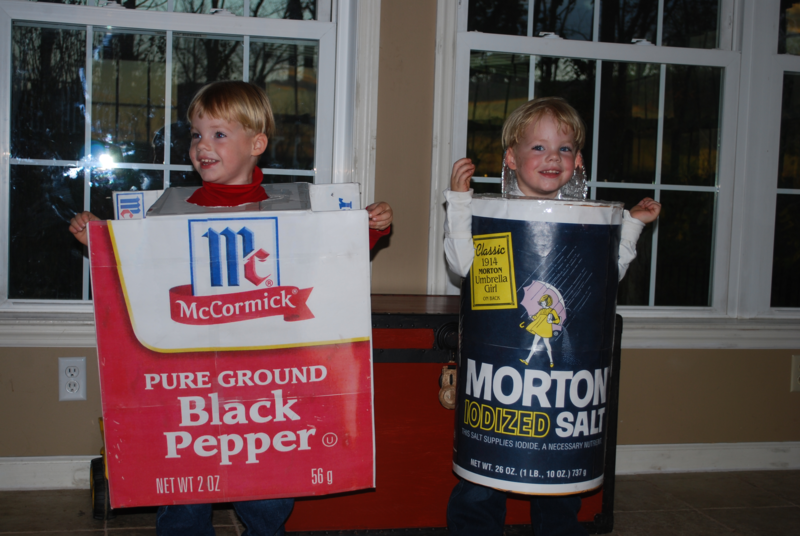 How sweet are these adorable twin boys in salt and pepper costumes? I’ve got to say, their parents did a fantastic job with these. I couldn’t resist including this little guy…reminds me of my own precious pup, Coco. Dogs are part of the family; we’ve got to include them in Halloween too! I remember when I dressed Coco in a fancy dress for doggie fashion show – such a hoot. Some of you posted on my Facebook and Twitter pages with great ideas for what to dress Coco as this year – very helpful. This family has some impressive dexterity skills! 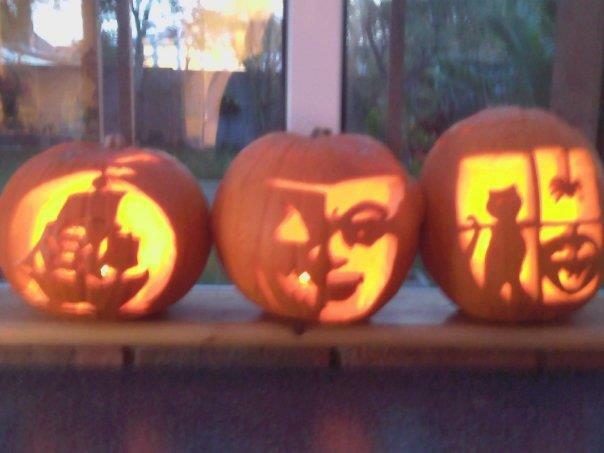 All three are fantastic, but that two-faced Jack-O-Lantern my take the cake. Avery and I still love carving pumpkins together…and making pumpkin pie mmm. This one just cracks me up. 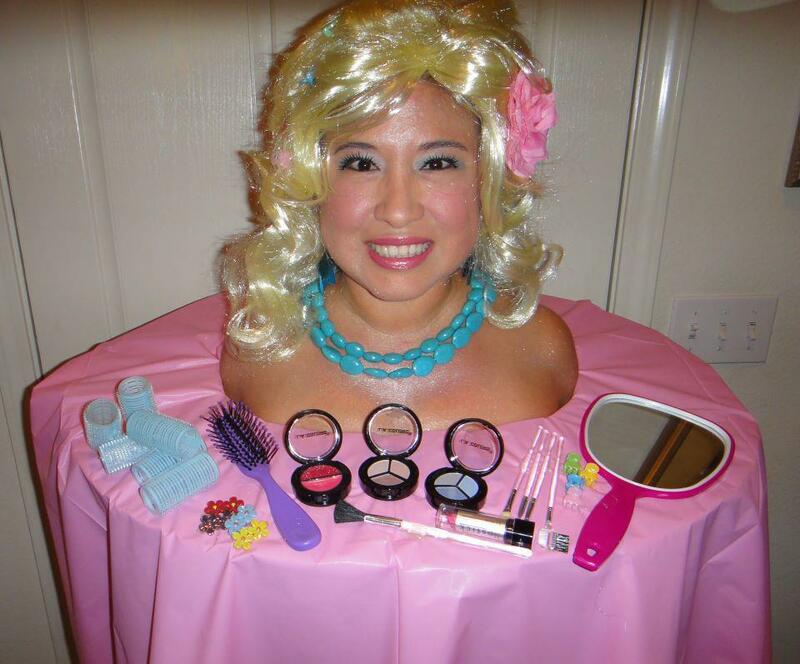 This girl is dressed up as a “Barbie Styling Head.” This truly looks like it could be Barbie’s vanity. Too clever! Uh oh…guess what these ladies chose to dress up as for Halloween? Real Housewives! Which one is supposed to be me? I only see Rose – where is the Pinot Grigio? LoL. 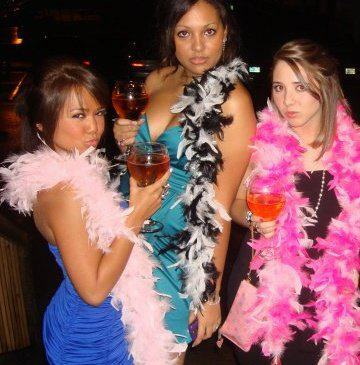 The middle girl makes a great Luann! This Mad Hatter costume is too good…the bushy red eyebrows, white face & red cheeks, and the embellished bowtie are all spot on. This costume seems very homemade – homemade is the best. 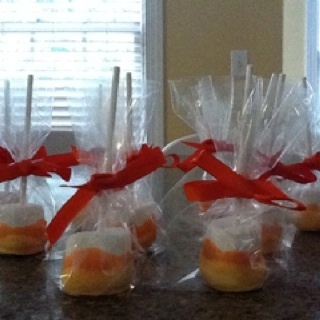 These cake treats on a stick are supposed to look like candy corn. 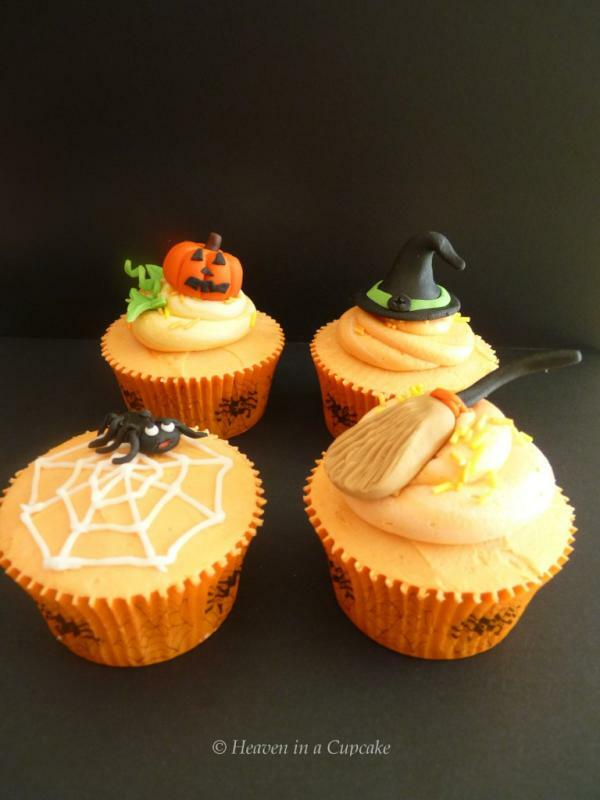 This is such a great Halloween treat idea. I’m always looking forthings I can make and bring to friends houses for parties. Thanks for sharing! Ah, Heaven in a Cupcake. Now this is art! I love the attention to detail – look at those great lines in the witch’s broom stick. Thanks for sharing your Halloween memories with me! 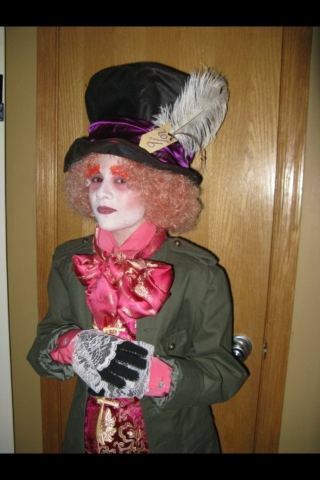 Can’t wait to hear what you all dress up as this year…better be good!